I think the executive treaty-making power could also be used to revoke the notification because this would not alter rights and obligations arising under the EU treaties. Neither the EUNoWA nor the EUWA control the UK’s membership of the EU. The only unambiguous “intention” in these acts is: (i) to confer a discretionary power on the Prime Minister to issue an Article 50 notification and (ii) to make certain changes in domestic UK law effective on a date defined as “exit day”. Neither act mandates the UK to withdraw from the EU treaties. This is a variation the “contingent” argument that was rejected by the Supreme Court in Miller. 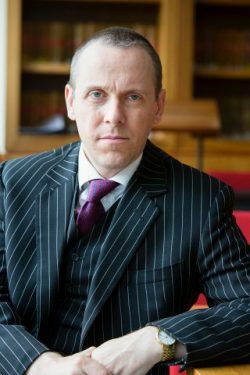 It is also debunked here: https://ukconstitutionallaw.org/2018/12/10/gavin-phillipson-and-alison-l-young-wightman-what-would-be-the-uks-constitutional-requirements-to-revoke-article-50/. Whether courts apply the “contingent” argument to interpreting statutes depends on the nature of the statute: if such reasoning is unpersuasive the court is free to adopt a textual and/or teleological approach. In the case of the EUWA, it’s unpersuasive to argue that the statute is free of contingencies because a highly significant “contingency” is written into the act itself: “Exit day” can be redefined as any point in the future without restriction. This article suggests “that the treaty prerogative is a sufficient legal basis for a brief extension of the Article 50 process on the international plane as a matter of domestic law”. I think the words “sufficient legal basis” are a bit ambiguous in this context. I suspect the author of this article would agree that, as the domestic law currently stands, the treaty prerogative is not sufficient, without more, to enable such an extension to take effect in law either within the UK or on the international plane. In addition to an exercise of the treaty prerogative by the Executive, each House of Parliament (not just the House of Commons) must pass a resolution approving a draft of the instrument containing the proposed regulations changing the “exit day”. This entry was posted on January 9, 2019 by Constitutional Law Group in Europe, European Union, Judicial review, UK government, UK Parliament and tagged Article 50 - revocability, Article 50 TEU, Brexit, Brexit judgment, European Communities Act 1972, European Union (Withdrawal) Act 2018, Fire Brigades Union, Miller v Secretary of State for Exiting the European Union, Wightman v Advocate General.